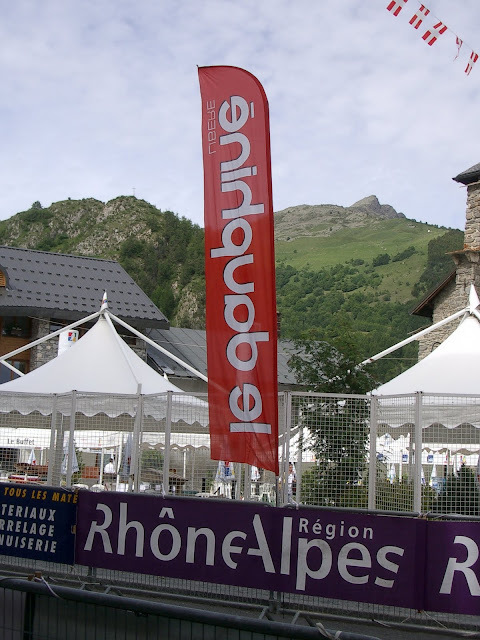 Stage 6 on Saturday June 12, 2010 of the Dauphine Libere will be huge. I love this photo of Alpe d'Huez on the SteepHill.TV page. 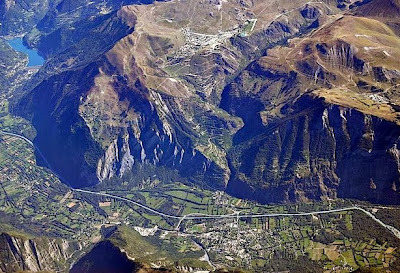 Stage 6 will finish at the top of Alpe d'Huez. 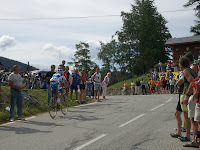 I wrote a previous post on My climb up the Alpe d'Huez in May 2010. 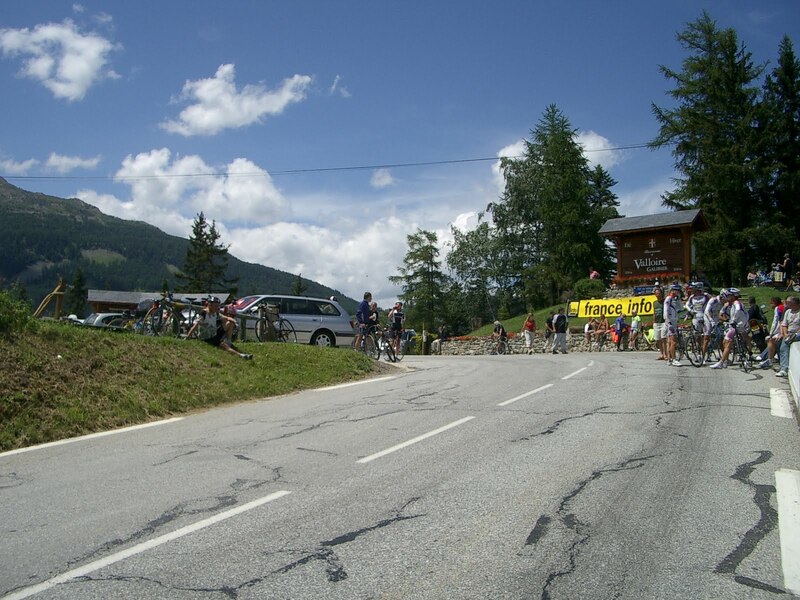 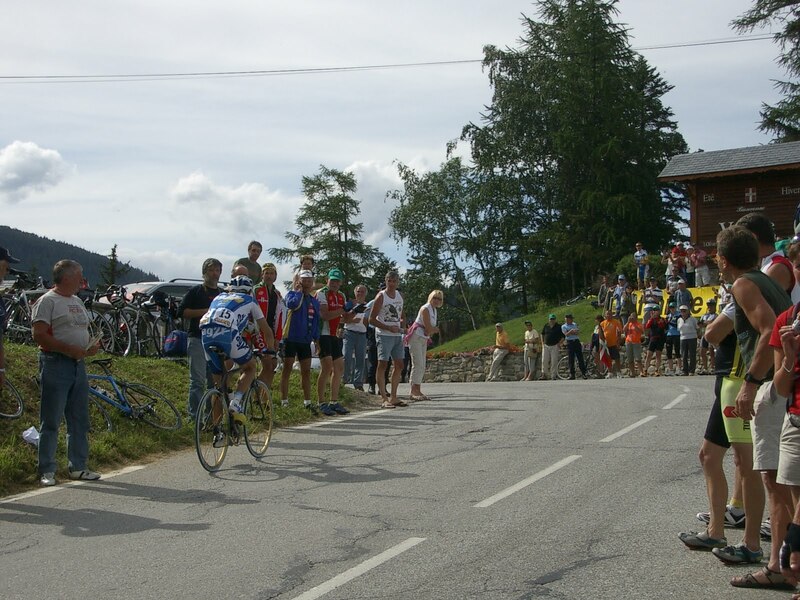 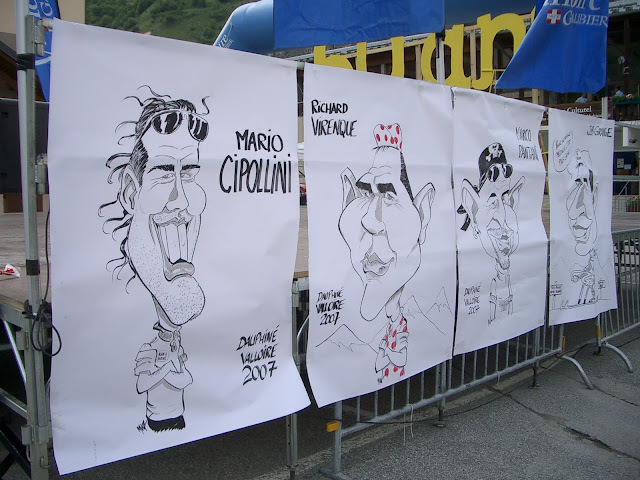 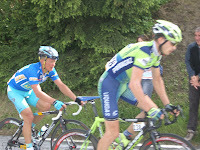 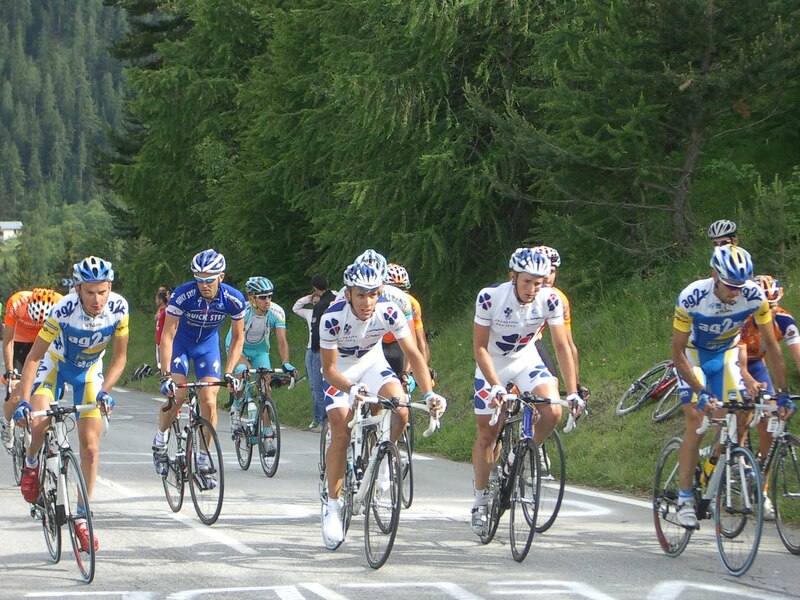 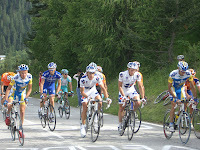 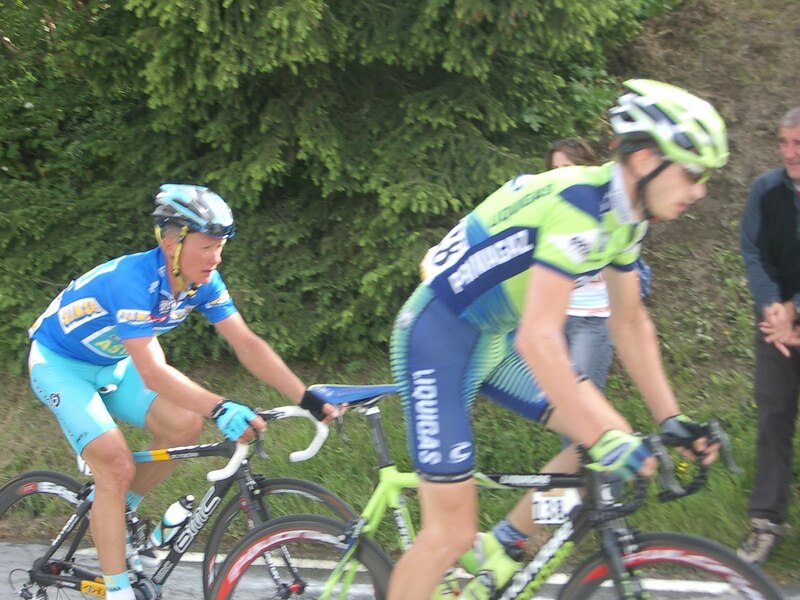 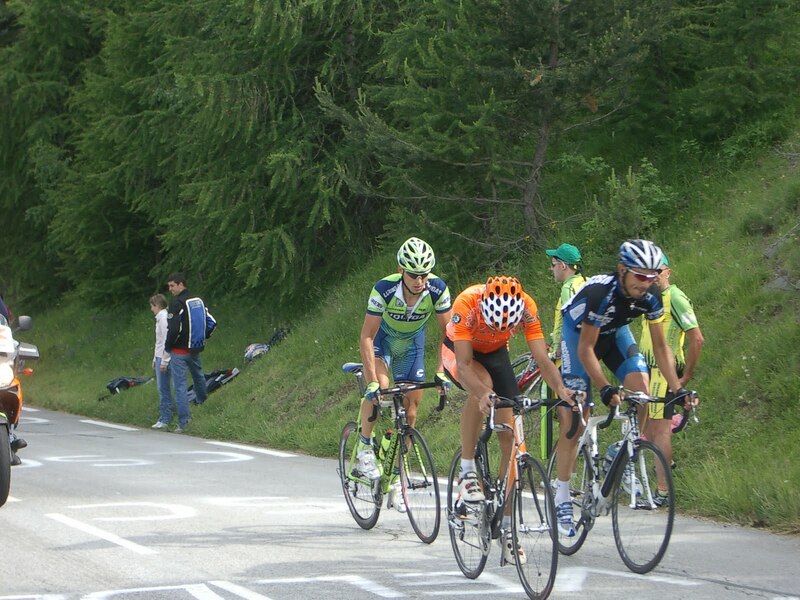 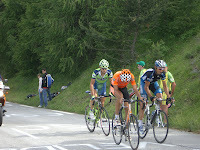 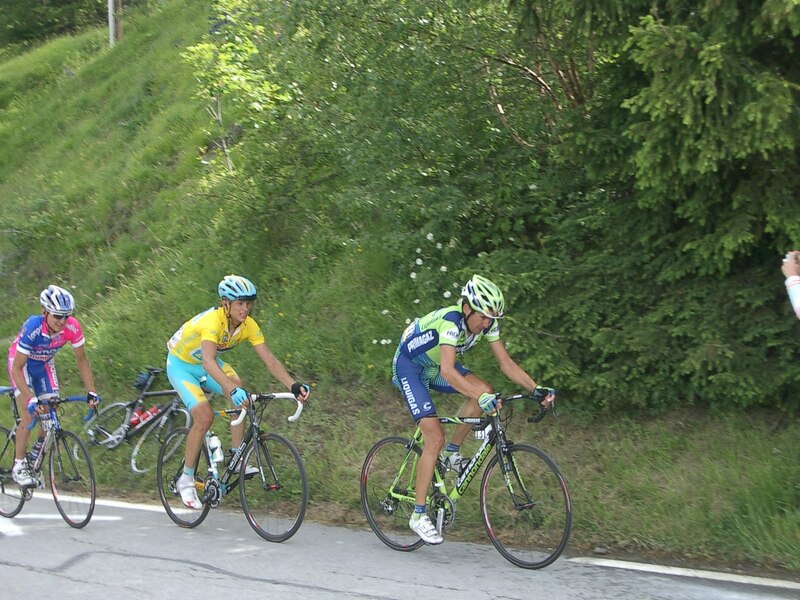 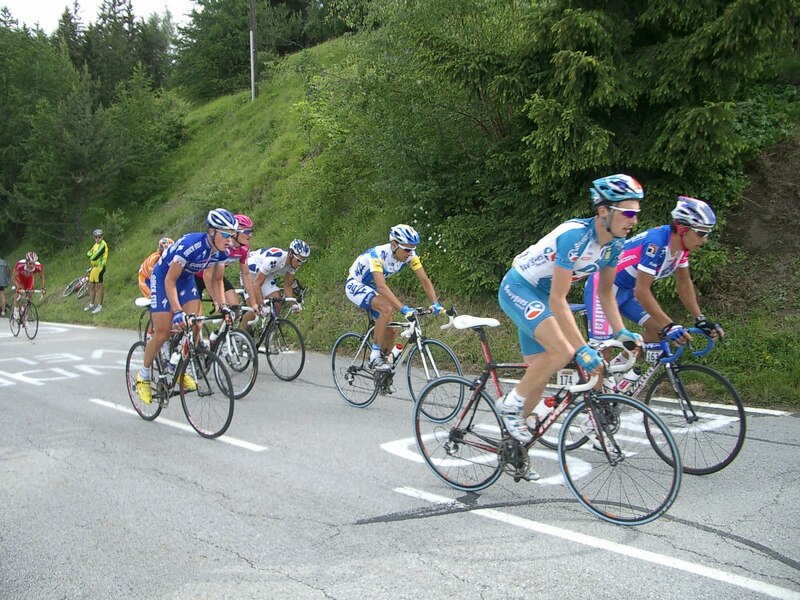 I was fortunate to attend the Dauphine Libere as a fan in 2007. 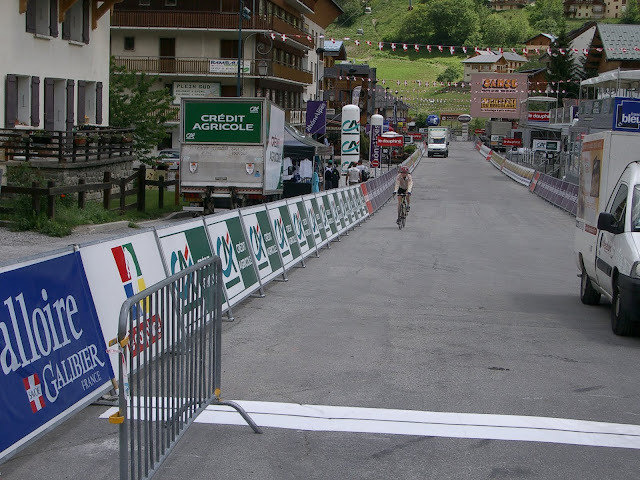 This is another non-crowded bike race well worth attending. 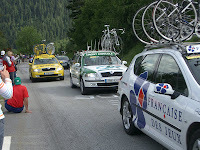 The race is organized by the same good folks who organize the Tour de France. 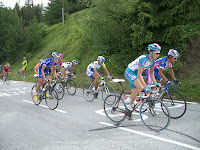 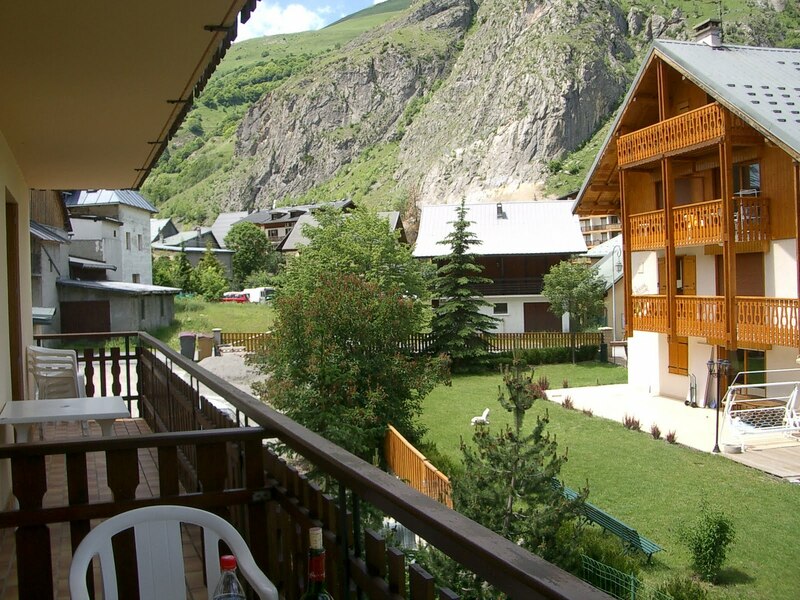 The race is held in the Alps in June, a time of year when it is easy to find accommodations, and before it gets too hot. 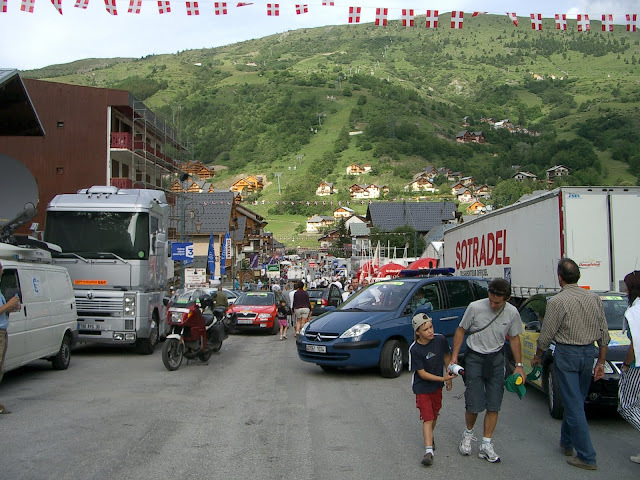 Although many restaurants may still be closed for the season, and snow may remain on the sides of the road, the race and area are wonderful to visit. 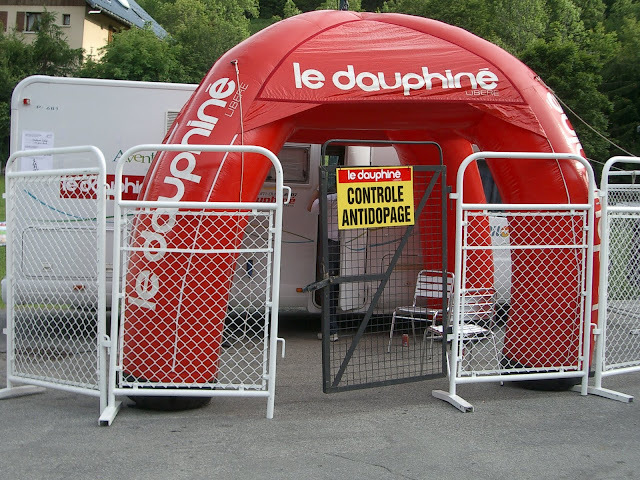 They were still setting up in the morning as I headed down to ride down and then back up the Col du Telegraphe. 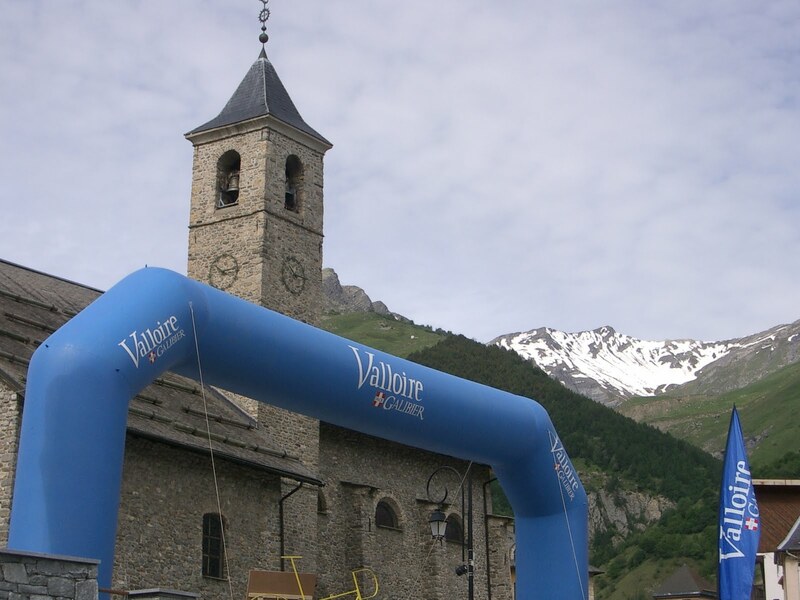 This is me approaching the finish line on a quiet morning before the Stage Finish up the Col du Telegraphe into Vallorie.